Luxury Living is a leading real estate agency, property developer and luxury lifestyle publishing group on Thailand’s tropical holiday destination, Koh Samui. Luxury Living’s growing presence in Koh Samui property sales and rentals, record-breaking sales at their own Aqua Samui villa development in Chaweng, outstanding success at the 2014 Asia Pacific Property Awards and recent expansion into the publishing market with the Luxury Living lifestyle magazine have conglomerated their presence in Koh Samui’s real estate establishment.. 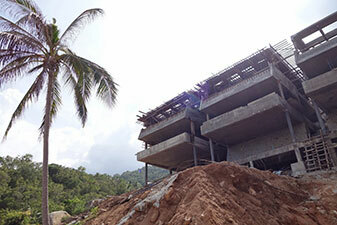 Luxury Living is a leading real estate development group on Thailand’s tropical destination island of Koh Samui. 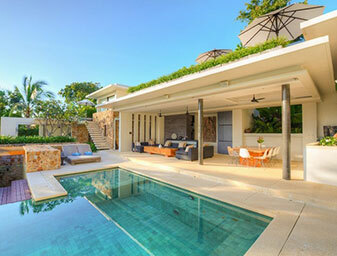 Luxury Living’s growing presence in Koh Samui real estate development, record-breaking sales at their own Aqua Samui villa project in Chaweng and outstanding success at the 2014 Asia Pacific Property Awards have ensured their ranking as Koh Samui’s premiere real estate developers.. Luxury Living’s innovative Koh Samui real estate agency offers a full range of professional services for landlords, buyers, sellers and renters alike. Browse our real estate agency website or contact our dedicated team of knowledgeable individuals for full information on the range of services we offer.. 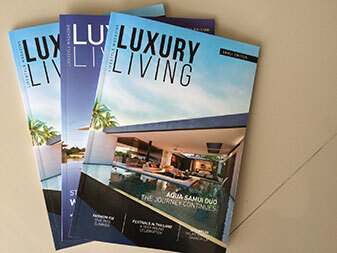 Launched in 2014, the Luxury Living magazine features an eclectic mix of enlightening articles on nature, travel, property and the international luxury lifestyle. .